Following on from a request for advice from a friend of mine, while at the same time in the search for a decent foundation for a client's Extremely Oily Skin of late, I thought I'd take myself into a Bare Minerals concession to have a chat with the SAs there and get the skinny. 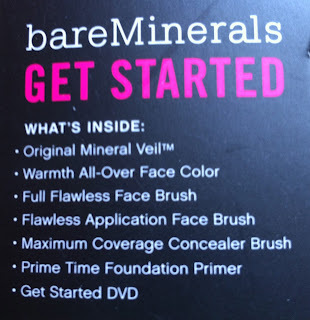 I left with a face full face of Bare Minerals (they call their makeovers "Make Unders"), a bag complete with this Starter Kit (above) and lots of very generous-sized (and free) samples, and a head full of information! (In BT2) there are two "Get Started" kits on offer; an eight-piece and a nine-piece. Size-wise and price-wise, and what-you-get-wise, the eight-piece kit is far superior. What comes in the kit is pretty impressive for the price. Essentially, you get a full size Mineral Veil (ie their "Finishing" powder), a face powder called "Warmth" (effectively this is their bronzer), three full-sized brushes, a half-sized foundation primer and a serious wad of information (leaflets, DVDs, promotional material and other such info), and finally your foundation (also full sized) gets added to the box once you've been colour-matched. All this for around the €58 mark, seriously good value for money. The Bronzer "Warmth" & the Mineral Veil in "Original"
The concealer brush is synthetic fibre (made from Taklon) and is quite firm; the other two are made from goat's hair and are quite soft. The concealer brush is comparable to the Laura Mercier Camouflage Powder Brush in terms of density and quality, so if you like that type of brush, you'll like this (more on concealer brushes I like in this post). Personally, I would have liked to see a firmer, denser brush like this Kabuki brush in the kit, along with one or the other of the two larger brushes, but that's being picky; the brushes chosen are not a bad representation and do certainly what they advertise. The standard PrimeTime foundation primer is what ships with the kit - this is a silicone- and silica- based primer, containing Vitamin C. This does feel nice and slips on silkily, as all silicone-based primers do, but it's a lightweight enough formula, and doesn't feel heavy on my skin. 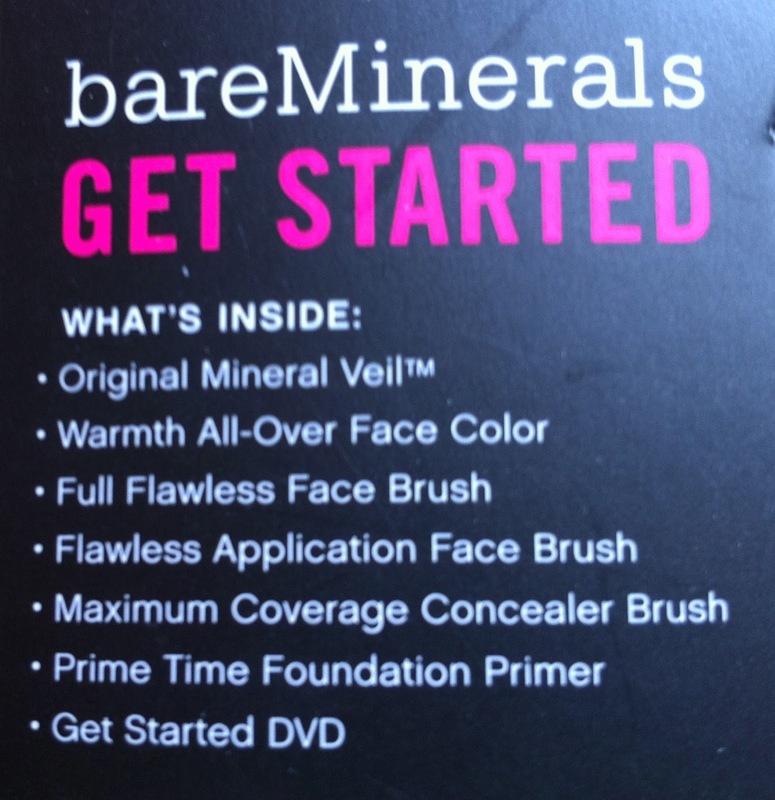 There are a couple of other primers available in the Bare Minerals range, but the kits, as far as I know, come with the standard primer. There's no SPF in the primer (but there is in the foundation). The tube in the kit is half (15ml) the "usual" size (30ml), with is pretty generous. This "All Over Face Colour" is a genuinely gorgeous red-toned bronzer with a natural, slightly luminous finish, and can be used as a blusher, bronzer, eyeshadow or even a lip colour. Contains Bismuth Oxychloride*. More on that later. I just couldn't get the Mineral Veil powder to show up on camera, so there's no swatch of this per se. It's essentially a translucent finishing powder that helps with blotting, setting, softening lines, the usual finishing powder tricks. Buffed into the skin after foundation, it does give a lovely glow. It can be used under or over foundation, and comes in four shades - the "Original" shade is what is included in the kit. There are two different types of foundation: Original (which is a luminous finish foundation) and the newer Matte formulation (more of a semi-matte finish, I found). These come in twenty shades, which are broken-down across "Cool" (mainly pink), "Neutral" and "Warm" (mainly yellow-olive) undertones and five different shade groups (Light, Medium, Tan, Dark, Deep). Bare Minerals have a handy shade chooser on their website (see here) which helps you to identify your foundation, but as with all foundations, you're always better-off getting colour-matched in person and in-store. I was personally colour-matched to "Golden Medium" (I'm about MAC NC25-30 at present for reference) in the Original formula foundation. It buffed in beautifully with either brush that came with the kit. It felt weightless. It looked luminous and genuinely natural. The brushes do their trick of applying this nicely, either light-to-medium or medium-to-heavy coverage (for full coverage I think that a buffing/kabuki brush is better). 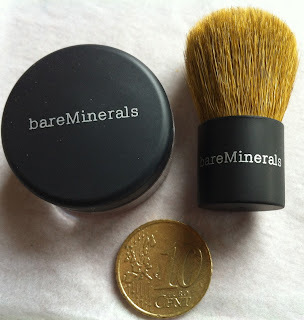 Like all of the Bare Mineral products, the foundations contain very few, mineral-based, ingredients. The Original formulation contains Bismuth Oxychloride, the matte formulation does not*. Both foundations contain titanium dioxide, and have a certain amount of flash-back, which means not great for flash photography. Bare Minerals have applied real intelligence to the pots. Loose powder is messy stuff. It goes everywhere. It spills when knocked over and it makes a damn mess. So these come with a clever applicator. 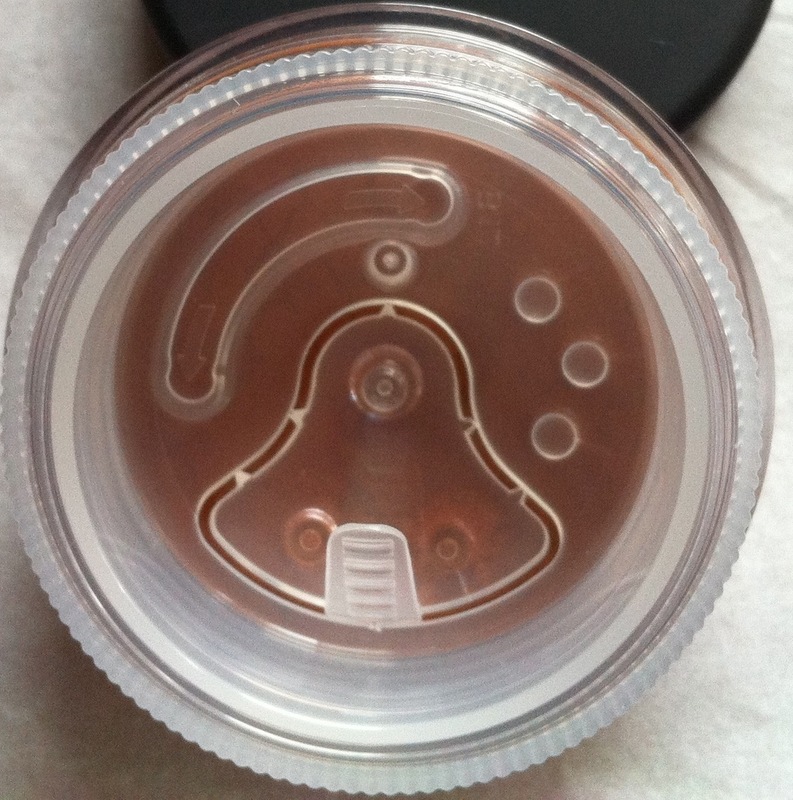 When you purchase, it has a small tab that you pull off to remove completely, exposing the holes through which the product can flow, but the top part of the applicator can be dialled to the right to cover these holes, which stops the product from going everywhere. It also means that the product can be poured into the lid itself and the brush can be used from the lid. Handy. Along with the time that the SAs in BT2 were happy to give me, I also left with three generous-sized foundation samples in addition to the kit I had purchased. As you can see, these are teeny tiny, but there's probably a weeks' worth of foundation in each, certainly enough to trial away and figure if you like it. The cute "baby buki" brush is actually a gorgeous brush in its own right, soft but dense, although personally I can't stand the teeny tiny handle (I plan to butcher some old brushes long past their prime and attach the free "baby buki"s that I got to their handles with good old superglue so they're usable, at least by me) - but the brush itself is actually great for buffing-in product. In case it's relevant, with the exception of the free foundation samples (which anyone who asks for will get), I paid for this kit myself. I actually loved the look and the wear of these products. I thought that the value for money of the kit was amazing. I thought that the finish and coverage was beautiful, genuinely natural-but-luminous-looking. The Bare Mineral SAs couldn't have been more helpful or friendly, and were happy to spend time with me telling me all about the product. What I categorically didn't like was the prickly feeling on my face, about five minutes after I left the store, which didn't go away, and drove me Absolutely Bloody Demented over the course of the day (I left it there for the entire day to see how it wore and if the prickliness would dissipate - it didn't). The makeup overall lasted well, fading after the "usual" six-seven hours I get out of most bases. After about four hours, I used some MAC Fix+ to help get rid of a handful of slightly dry patches on the dryer parts of my cheeks. Eventually I had to remove it before I scratched my face off! This is a great set, not two ways about it, providing you don't have Sensitivity Issues ;-) but I would have liked to see a concealer in there too for completeness; for example a half-size foundation and half-size concealer, say, for the same price, instead of a full size foundation and no concealer. That's possibly being picky, but the set would be a complete base set if it included a concealer (this could be customised, like the foundation). The concealer that was used on me, incidentally, did the trick but the shade was, annoyingly, discontinued (so I won't mention the colour here). Some research later, I discovered that Bismuth Oxychloride can be problematic for sensitive skins, and can cause this prickly feeling. That means that the "Warmth" powder and the Original formula foundation are no-go's for me personally. On the other hand, I have used the Matte foundation formulation (which contains no Bismuth Oxychloride) with no skin irritation issues at all. Bismuth Oxychloride is used a lot in mineral makeup, in fact it can be hard to find a brand of mineral makeup that doesn't contain it (so this isn't just a problem with Bare Minerals products). It's used as it gives a beautiful luminescent glow. It is a known irritant. It can cause problems (but not necessarily for everyone). That said, (a) it's worth noting also that I have clients who have used the Original foundation with no problems. 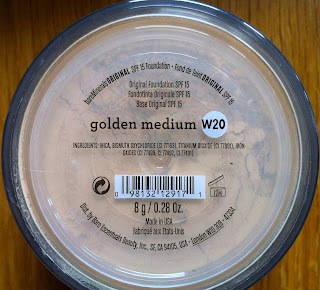 And (b) a lot of mineral-based or "mineralised" foundations/powders which contain this ingredient haven't caused me a problem to-date (MAC Mineralize Skinfinish for example). Perhaps it's just the high quantity in Bare Minerals which is the issue for me. 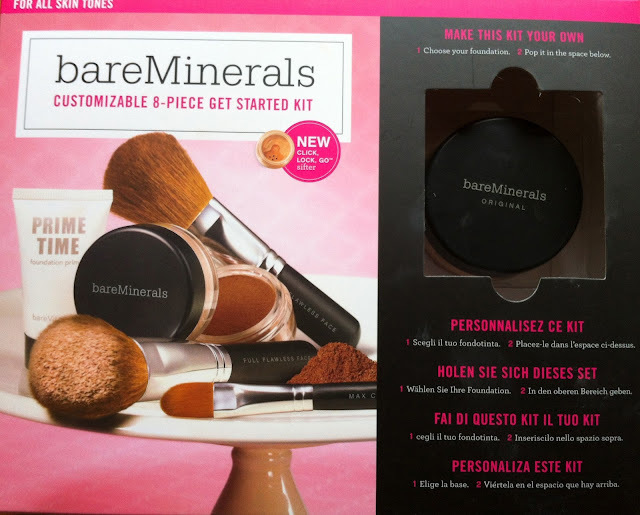 Like always, try before you buy - have a "Makeunder" (they're usually free and if my experience of the Bare Minerals staff in BT2 was anything to go by, an enjoyable experience) and see how it works with your skin. Live with it for a couple of hours to make sure you're not experiencing that annoying prickly feeling. Get a sample to try it out. For me personally (or for my kit) I won't be re-purchasing; these are not great for flash photography, not great for sensitive skins, not great for dryer skins. This is a genuine pity, as these products look genuinely beautiful in the flesh.